The Headache and Facial Pain Program at the University of Cincinnati College of Medicine in Cincinnati, Ohio. 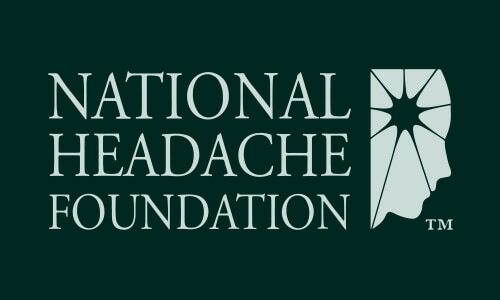 The Headache and Facial Pain Program, at the University of Cincinnati College of Medicine, in Cincinnati, Ohio, was established in October, 2013. It is part of the UC Neuroscience Center. Although this program is fairly new, the university has a long tradition of headache clinics. Robert Smith, MD started one of the first headache clinics in the U.S. at the University of Cincinnati and it was staffed by primary care physicians. This Clinic was started during the late 1970s and continued through 1990. The following is based on an interview with the Program’s Co-Director, Vincent Martin, MD. Doctor Martin is also Professor of Clinical Medicine in the Division of General Internal Medicine, at the University of Cincinnati College of Medicine. Doctor Martin attended medical school and completed his residency and fellowship in General Internal Medicine at the University of Cincinnati. As a resident, he was able to study under Doctor Smith and was exposed to the practice of headache medicine. Doctor Martin is board certified by the American Board of Internal Medicine, board certified in Headache Medicine by the United Council for Neurologic Subspecialties, and is a Diplomat of the National Board for the Certification of Headache Experts. He is a Fellow of the American College of Physicians and a Fellow of the American Headache Society. He was elected to the Board of Directors of the National Headache Foundation in 2009, and has served as its Vice President since 2011. Doctor Martin is also President of the Ohio Headache Association. The Program is a multidisciplinary group of headache physicians and other specialists (ENT, dentists, pain medicine, neurosurgeons). Their goal to treat the wide array of headache and facial pain disorders with a multidisciplinary approach. The Program at the University of Cincinnati is one of the only centers in the Midwest to treat both headache and facial pain. To be seen at the Center, patients do need a referral from another physician. Generally, the wait for an initial evaluation is 2 to 3 months, but there is a waiting list. Adolescents (14 years and older) and adults are seen at the headache center. A pediatric headache clinic is located elsewhere at the University of Cincinnati. Prior to the initial visit, patients will need to complete some questionnaires regarding their past medical history. While at the Clinic, the patient will undergo a comprehensive history and physical examination. During the visit, the patient will only be seen by a physician, and the visit will take approximately 2 hours. If needed, laboratory testing and MRIs can be performed in the same building. Any other tests would be completed at the adjacent hospital. At the Clinic, the treatment philosophy is a holistic therapeutic approach to the headache patient, assisting them in identifying trigger factors that could be increasing the frequency of their headaches. Because of the multidisciplinary staff, an integrative approach is provided to each patient. The Integrative Medicine department offers acupuncture, relaxation techniques, dietary therapies, aroma therapy, yoga, etc. For the refractory headache patient, inpatient therapy is available. A Clinic physician would follow the patient if hospitalization is required. Currently, there is not a dedicated unit at the hospital for headache patients, but Dr. Martin advised that they are trying to develop a headache inpatient facility. At the Clinic, the staff have particular expertise in hormonally-triggered migraine in women and in headaches that occur in patients with connective disease disorders (eg Ehlers Danlos Syndrome, Marfan Syndrome, Joint Hypermobility Syndrome). In addition, the Clinic has published studies regarding the relationship between migraine and sinus disease/rhinitis (hay fever). In regards to growth or changes to the Clinic during the next few years, Doctor Martin expects an increase in the number of physicians on the staff in the near future. At the Clinic, research continues into the relationship between migraine and female hormones. In a recent presentation at the annual meeting of the American Headache Society, they noted that perimenopause was associated with a 50 to 60% increased risk for headache as compared to premenopausal women with migraine. They are continuing research on the role of allergies and sinus disease and migraine. Also, they are undertaking a study to determine the relationship between migraine and joint hypermobility or Ehlers Danlos syndrome.